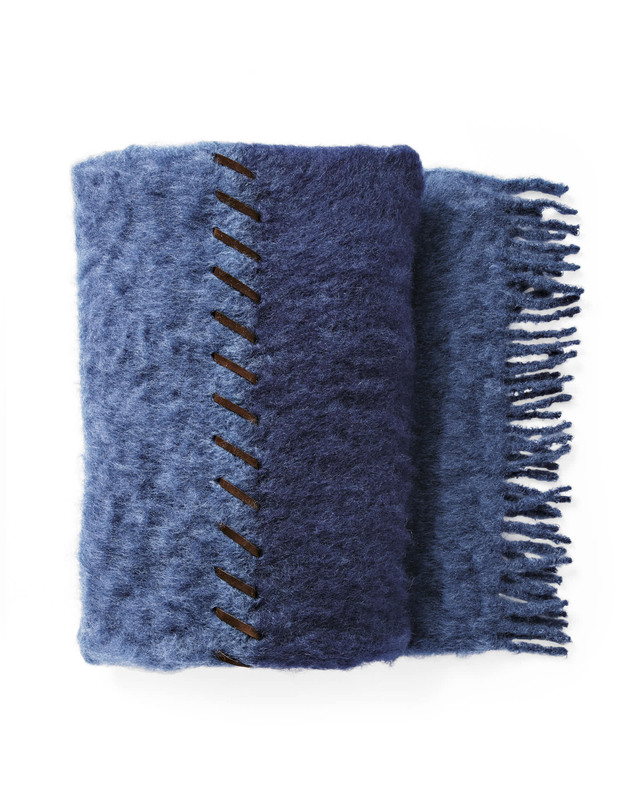 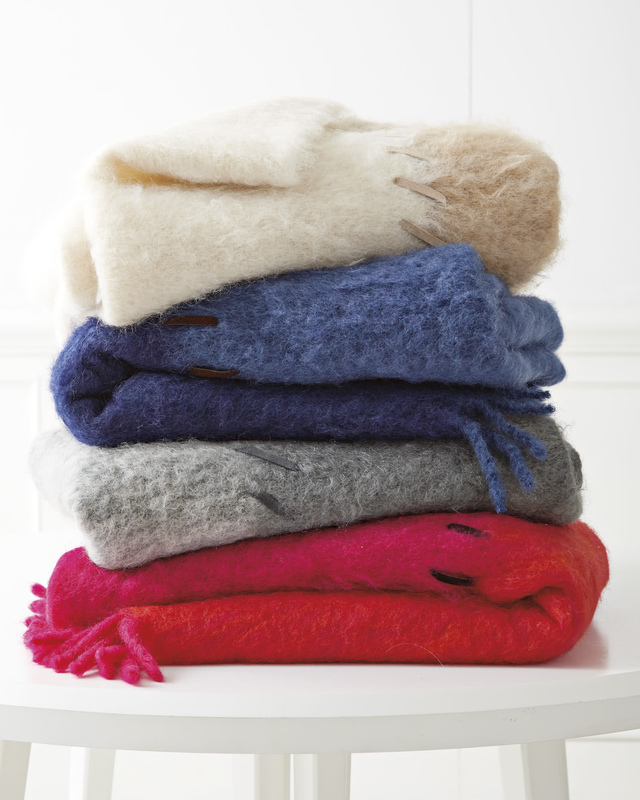 Whipstitch Mohair ThrowWhipstitch Mohair Throw, Navy/Cobalt alt="Whipstitch Mohair Throw, Navy/Cobalt"
Print From a family-run mill in Spain, these sumptuous fringed throws are made from only the finest mohair, spun and combed by hand for a fabulously slubby feel. 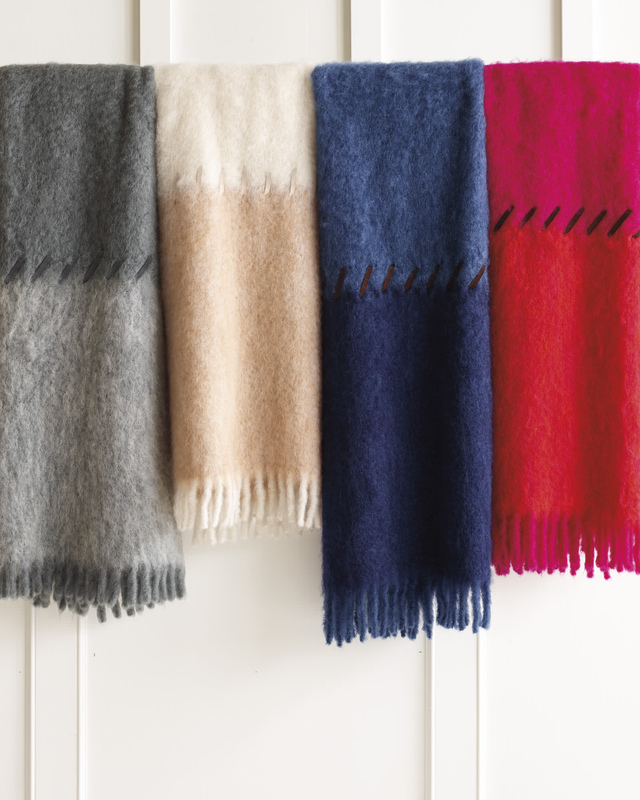 A thick suede whipstitch runs down the center, joining the tonal shades. 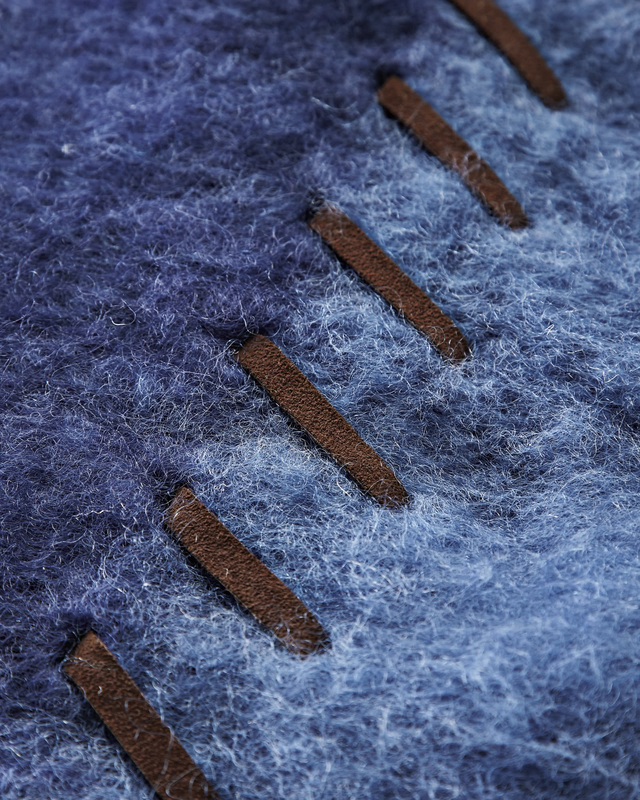 73% mohair, 27% wool with suede whipstitch detail.